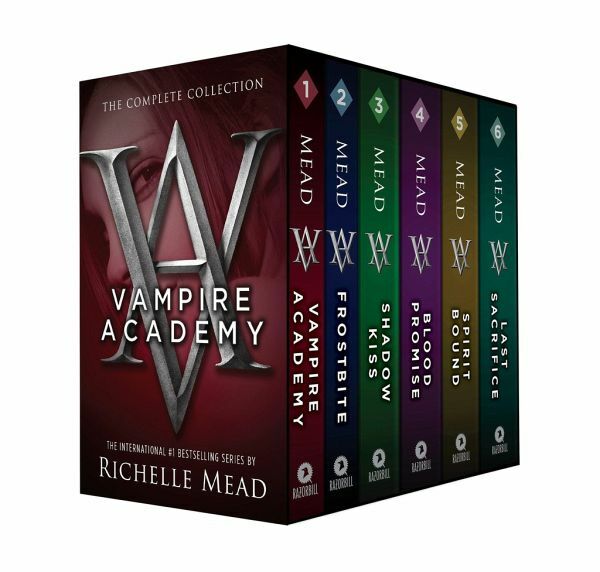 Enter the complete saga of the international #1 bestselling Vampire Academy series by Richelle Mead—soon to be a major motion picture! Lissa Dragomir is a Moroi princess: a mortal vampire with an unbreakable bond to the earth's magic. The powerful blend of human and vampire blood that flows through Rose Hathaway, Lissa's best friend, makes her a Dhampir. Rose is dedicated to a dangerous life of protecting Lissa from the Strigoi, who are hell-bent on making her one of them. Rose and Lissa must navigate through this dangerous world, confront the temptation of forbidden romance, and never once let their guard down, lest the Strigoi make Lissa one of them forever.